- The United States is working on more contracts and oil deals with Iraq through leading companies, especially in the energy sector, The Economist said in a statement. According to the weekly magazine, Iraq has become more stable and secure than it has been since 2003. During his recent visit to Baghdad, US Secretary of State Mike Pompeo stressed the continuation of US support for the Iraqi security forces and the independence of Iraq in the field of energy. To stop buying Iranian gas and start contracting with US oil companies to develop gas fields in the country. 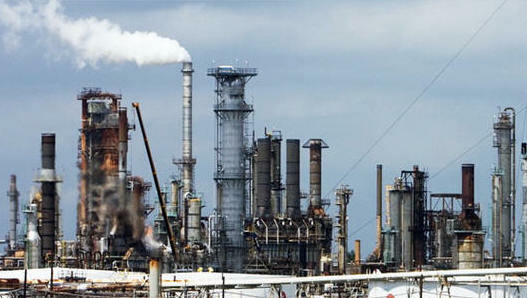 And revealed that the US leading energy companies, such as Chevron, are negotiating directly with the Iraqi Oil Ministry to obtain huge concessions, while Exxon negotiating to establish deals to increase the volume of oil exports and the construction of a major desalination plant, and signed American companies deals to supply Iraq with grain and poultry as well. The United States will have difficulty in keeping Iraq away from Iran, because the latter depends on Iran in many things. When Iran cut off electricity from Iraq last summer because of its inability to pay, anti-government protests in southern Iraq erupted, creating a crisis The fact led to the overthrow of the government.